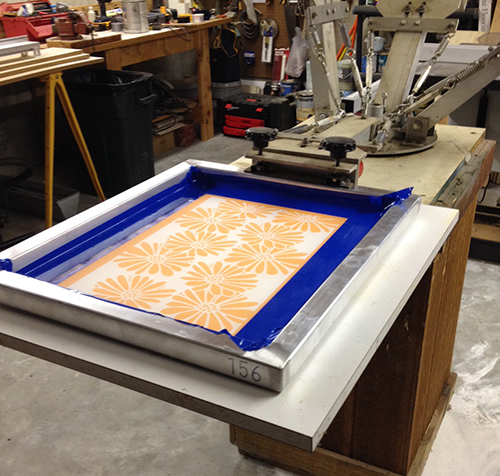 A friend gave me this old 4-color silk screen press years ago, and I’m finally putting it to use. After watching Forrest Lesch-Middelton’s video about 20 times demonstrating this process, I’m just about ready to silk screen a slip on newsprint, which I’ll then transfer to clay. You are amazing, so much talent! I am looking forward to seeing the finished product.